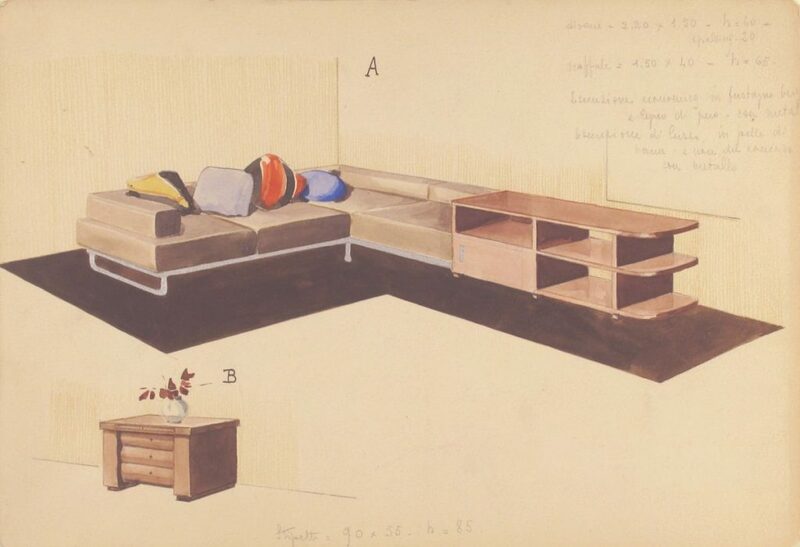 Guglielmo Ulrich, Divano, seoffale, e stipetto [Perspective of L-Shape Sofa and Storage Unit], 1933, watercolor and black and metallic ink, over graphite, sheet: 11 1/8 × 7 9/16 in. (28.2 × 19.2 cm). Collection of the Metropolitan Museum of Art. Every day, across thousands of universities and high schools in the US, students learn about the history of art from prehistory to the present. Very rarely is design history incorporated into this curriculum. Art History Teaching Resources (AHTR)—a non-profit teaching resource site in the visual arts—wants to change this. AHTR has collaborated with CAA’s Committee on Design to propose an initial collection of online teaching resources related to design history of the last two hundred years that will enable university-level and AP instructors to confidently teach them in foundational art and design history survey classes. The resources will be hosted online at arthistoryteachingresources.org in an area clearly marked as “design history” content. Like AHTR’s existing resources already, the Design History Teaching Resources will include scholarly, well-researched, and peer-reviewed lecture outlines, image clusters, and bibliographies, as well as innovative digital videos and links to other Open Educational Resources (OERs) for students and teachers. The resources will remain freely accessible and open to all under a Creative Commons license.